Old Colony Elder Services (OCES), a private, non-profit agency designated as an Aging Services Access Point (ASAP) serving seniors and individuals with disabilities throughout the greater Brockton and Plymouth county areas, recently held a luncheon at Campello High Rise, one of the Supportive Housing sites in Brockton, celebrating Independence Day for both the United States and Cape Verde. 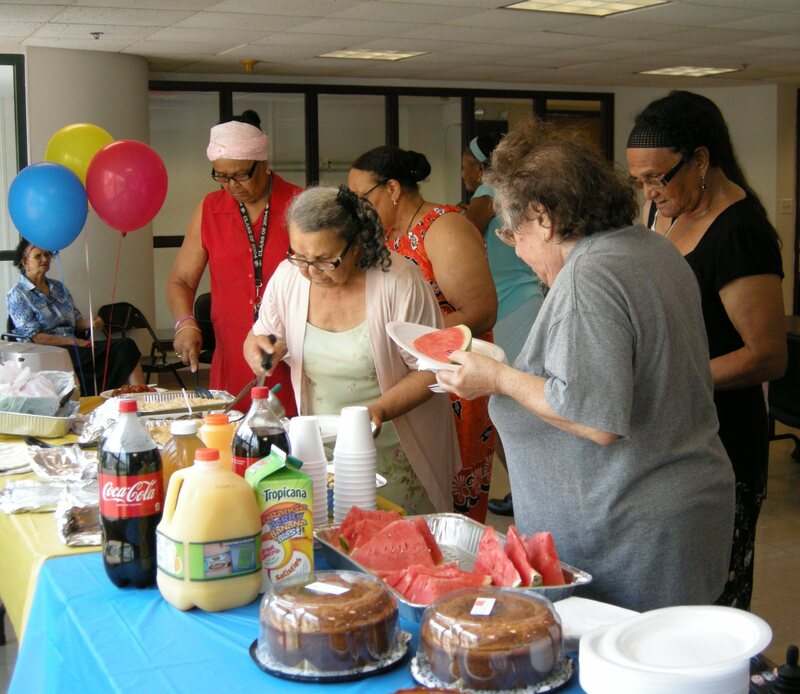 The Independence Day celebration luncheon was part of OCES’ Supportive Housing Program, which provides supportive services to senior and disabled residents at Campello High Rise. OCES’ Supportive Housing Program enables them to live longer in the community and prevents premature institutionalization. 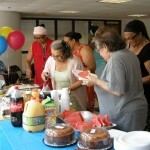 For the third consecutive year, the residents celebrated the Independence Day of two nations with a luncheon featuring Cape Verdean and American food, music and dancing. More than 40 people were in attendance. The luncheon event was one of Supportive Housing’s structured social, educational and recreational programs for residents. These programs are incorporated following a resident needs assessment and as indicated through the provision of care management. They are meant to encourage and build a community atmosphere among the residents. “The Supportive Housing Program is a win-win and the recent Independence Day celebration luncheon was just one example of its success. We’ve had a good response from residents and they are very comfortable with the program,” noted Diana DiGiorgi, Executive Director of OCES. The agency has 171 employees and operates more than 15 programs serving elders, individuals with disabilities, their families and caregivers. For more information call (508) 584-1561 or visit the website at www.oldcolonyelderservices.org.